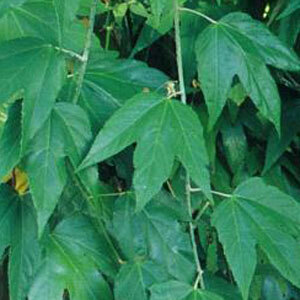 An evergreen climber with spiny stems and glossy, divided, dark green leaves. Clusters of cup-shaped pink flowers in summer followed by black fruit. Max Height 6m. Flowers June to August. Fruits August. Full sun/partial shade. Hardy.